Professional Copywriting to Engage Your Users. At a Loss for Words? Pressed for Time? We know that you are amazing at whatever it is you do and, yes, we know that you learned how to write in school. But do you know how to write copy specifically designed for the Internet? And, seriously, do you have the time? Identifying missing material and researching new content. ‘SEO’ is not just an Internet buzzword! Search Engine Optimization or SEO is the name given to what happens when someone ‘searches’ for a product, service or business on the Internet. When used creatively and correctly, certain words will help rank your business higher than others in your community, and your website will display higher in the listings. In simple terms, when people go looking to find exactly what YOU do, SEO is what helps drive your website listing to the top of the page. It is the process of getting traffic to your website from the free, organic, natural search engines, such as Google, Bing, and Yahoo, based on what these search engines ‘think’ is most relevant to users. Just as you can’t catch a salmon on a fishing lure designed to hook a rainbow trout, you can’t catch a search engine’s interest with the wrong (or poor) choice of words. At HPX Media, we work in collaboration with two of the best website writers in the industry, based right here in our community. 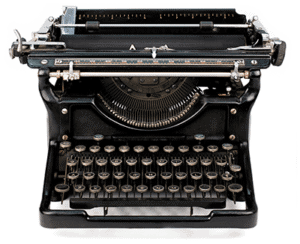 (Both have been members of the Professional Writers’ Association of Canada for many years.) You can rest assured that these professional writers will work with you to fully understand your business and what it is that you hope to achieve by creating a new website. By hiring a professional web writer, you can leave the fear of deadlines and brainstorming up to someone with the time, talent and experience to get the job done on schedule and on budget. No need to worry about grammar, spelling, and eye-catching headings. 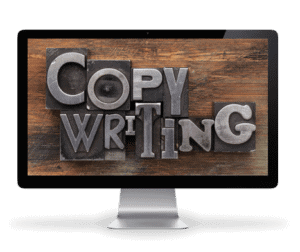 A professional writer will ensure your web copy has a polished, professional appearance that is perfectly suited to your specific type of business. And you can continue making money doing whatever it is that you do best.